Elegantly conceived and executed well. 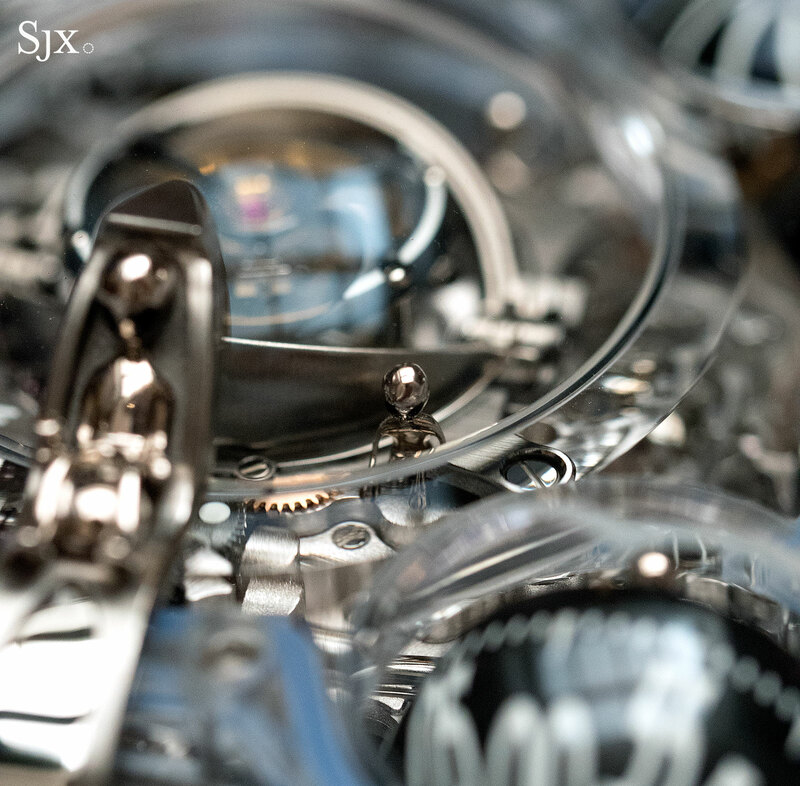 Perhaps one of the most ambitious joint watch ventures in recent memory, Ralph Lauren‘s tie-up with Swiss watch conglomerate Richemont aimed to sell high-end timepieces under the same label better known for polo t-shirts. It has had a hard time finding its footing, but not for the lack of trying. 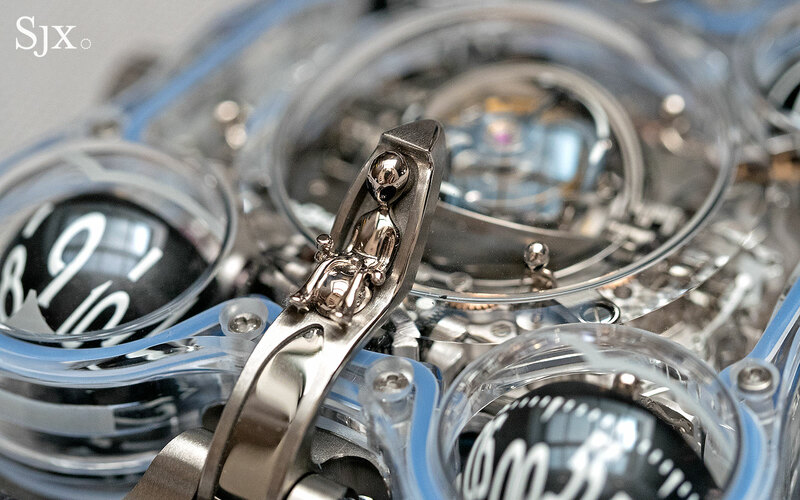 The watches themselves are well designed – Mr Lauren obviously knows his watches – and generally extremely high quality. 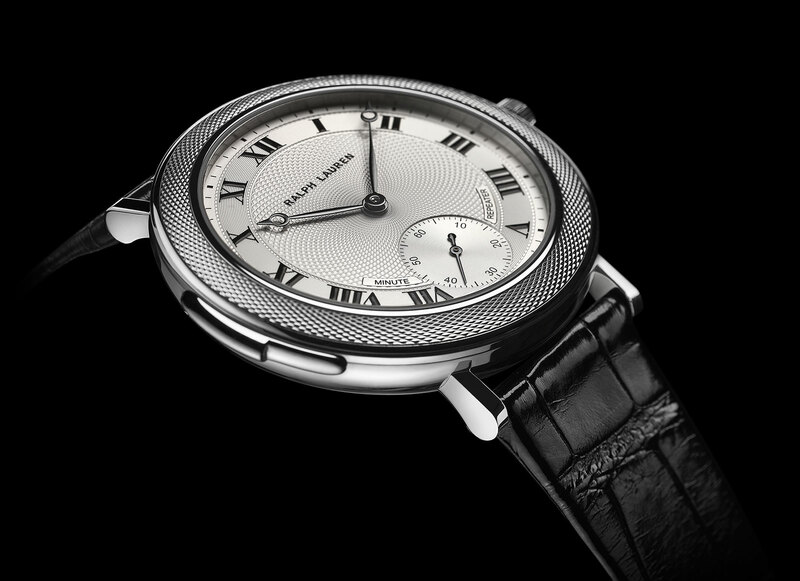 The Ralph Lauren Minute Repeater takes that idea to the extreme. Modelled on Ralph Lauren’s Slim Classique wristwatches, the Minute Repeater is shares the same thin case characterised by a wide bezel decorated with guilloche – done the traditional way on a rose engine, by hand. 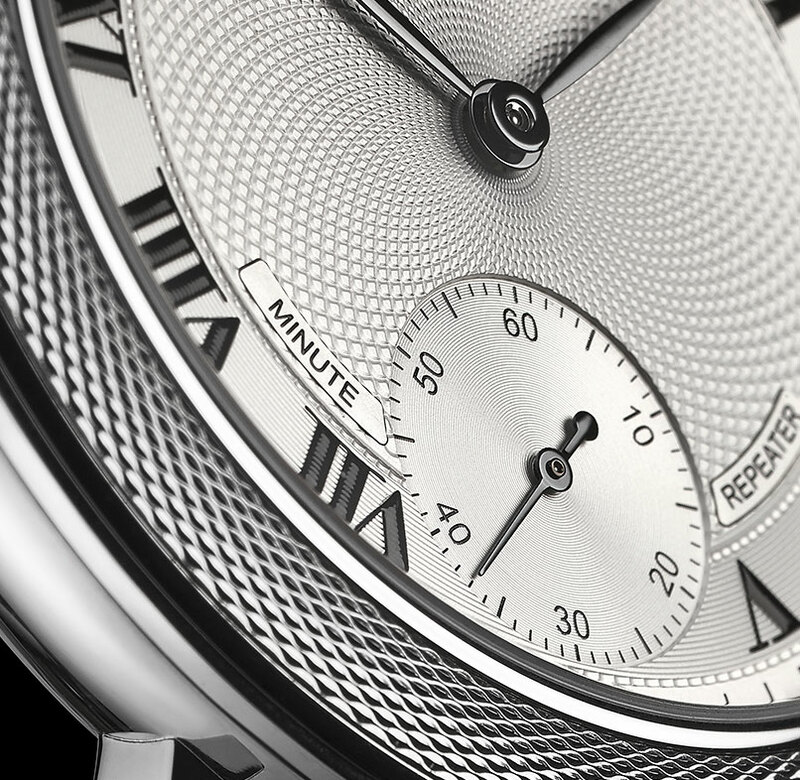 The dial is similarly decorated, giving it a look that’s a mix of Breguet and early Cartier. 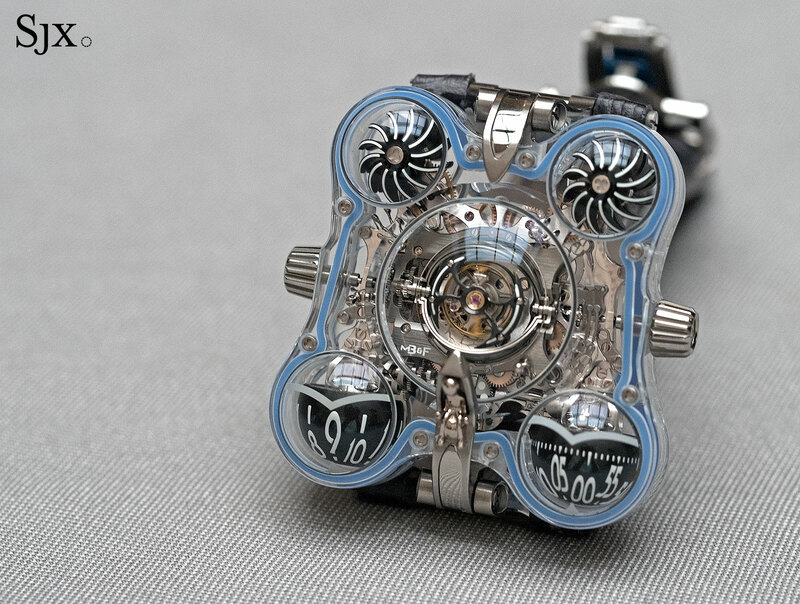 White gold and 42.5mm in diameter, the case is just 10.1mm high. 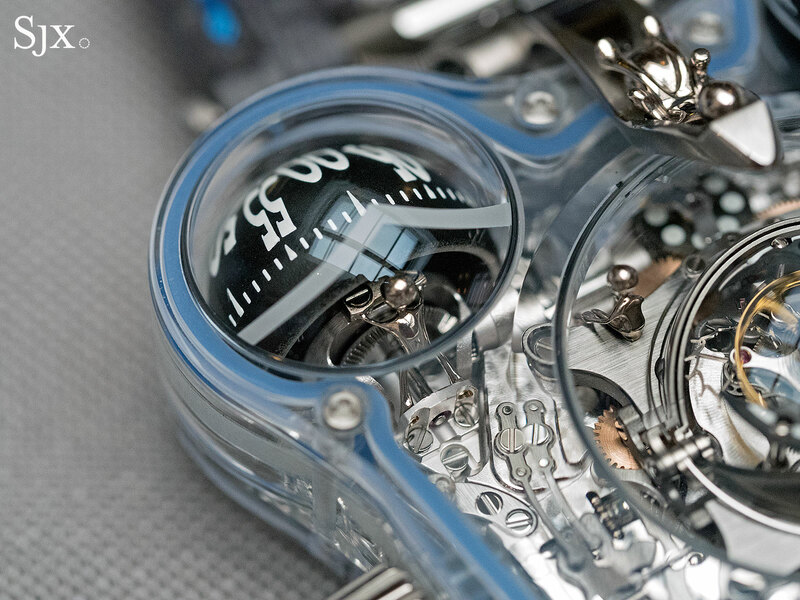 Inside is the RL 888, which is actually a calibre developed by Geneva-based La Fabrique du Temps, the same team responsible for the gorgeously constructed movements of Laurent Ferrier. 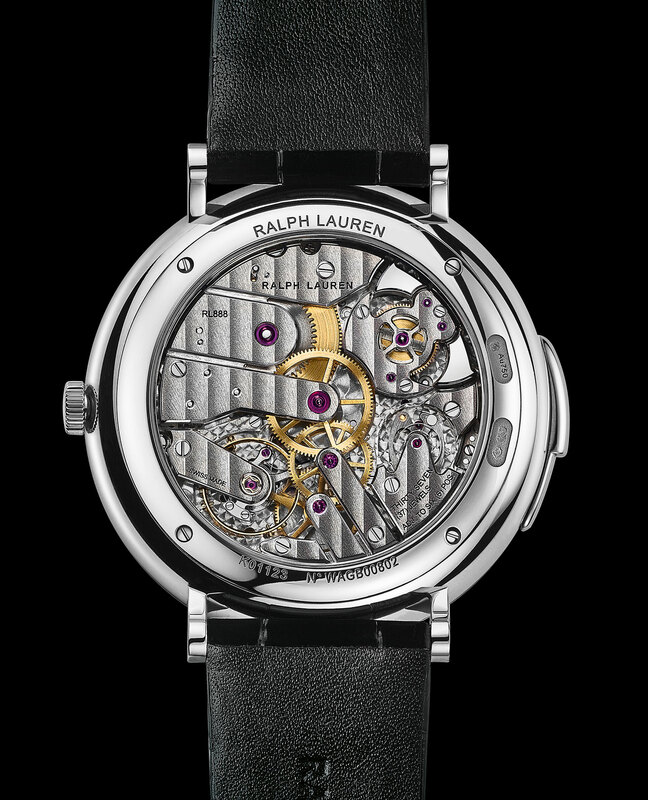 The complications specialist is now owned by Louis Vuitton, but still supplies movements to a handful of external brands, including Ralph Lauren. 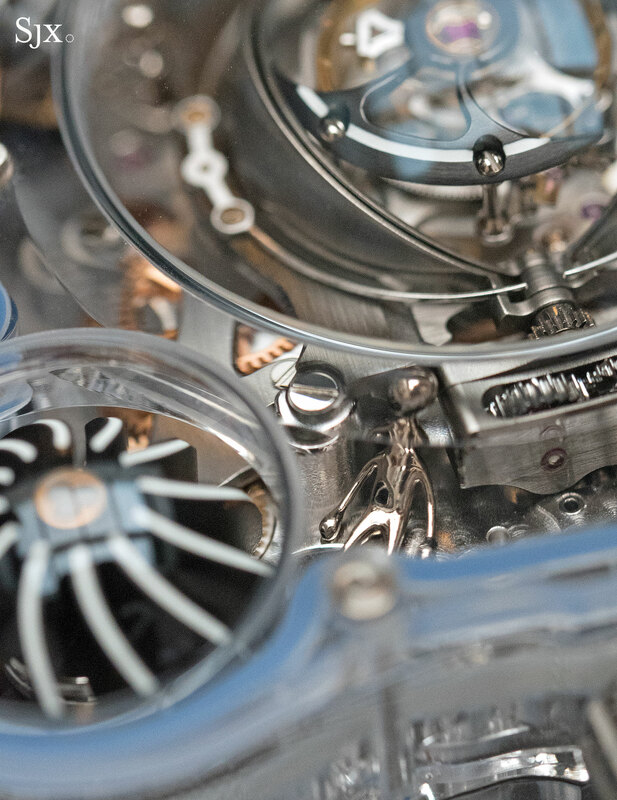 The RL 888 is hand-wound with a 100-hour power reserve, with the bridges reshaped to resemble traditional minute repeater calibres found in pocket watches and vintage wristwatches. 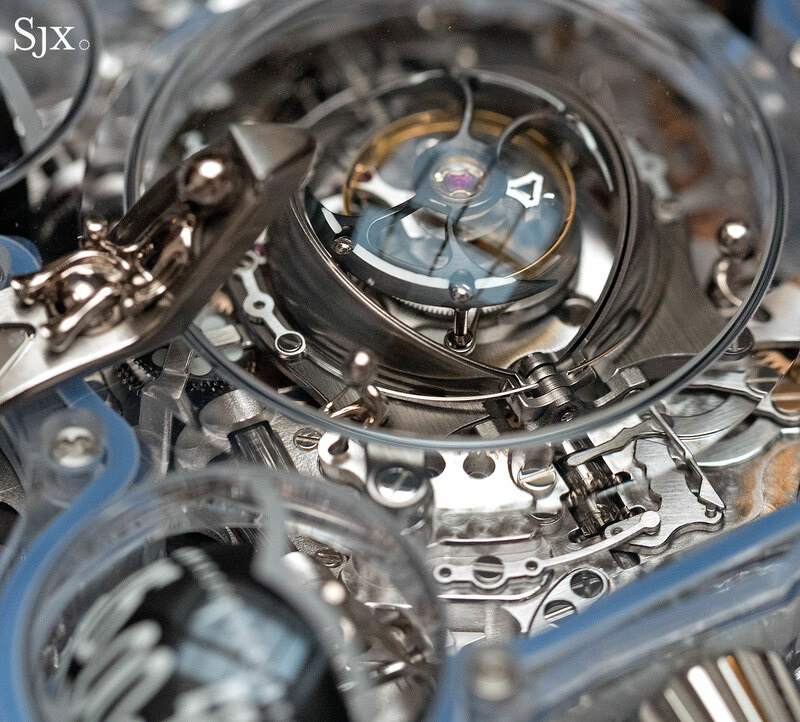 Variants of this calibre have also been used in watches by Louis Vuitton, Girard-Perregaux and Speake-Marin. 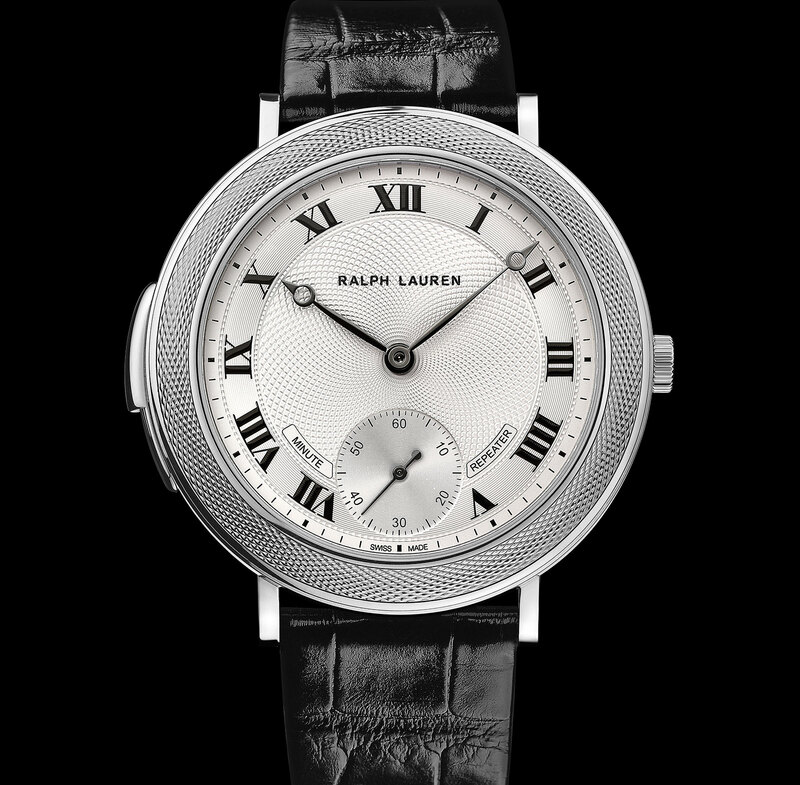 The Ralph Lauren Minute Repeater (ref. RLR0112704) carries a price tag of US$206,000. It’s available from Ralph Lauren boutiques and retailers. Haves and have-nots in miniature on the wrist. 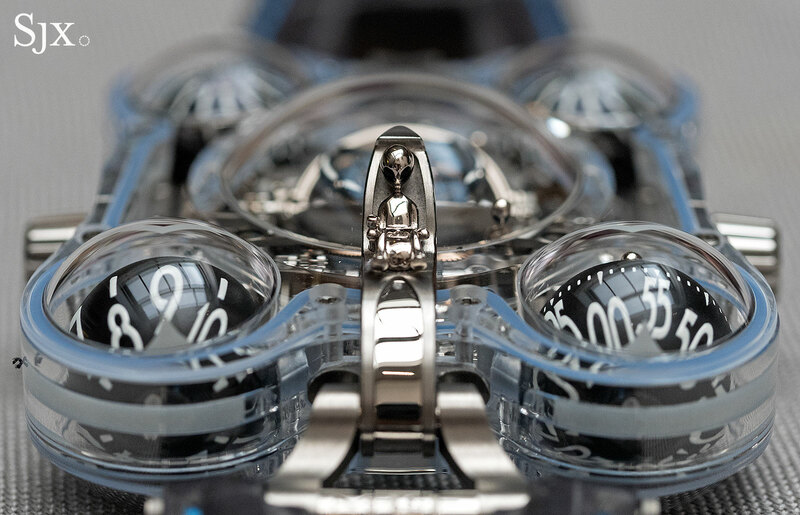 Unveiled a few weeks ago – after all four examples had already been sold – the HM6 Alien Nation is what you have come to expect from MB&F – space age, whimsical and impressively constructed. But it might also be seen as a parable of the modern world, the modern day horological equivalent of dramatic allegorical paintings by European masters. If “Alien Nation” does indeed refer to an extraterrestrial civilisation, then it would be one just like the capitalist world studied by authors like Thomas Piketty and decried by anti-globalisation protestors. 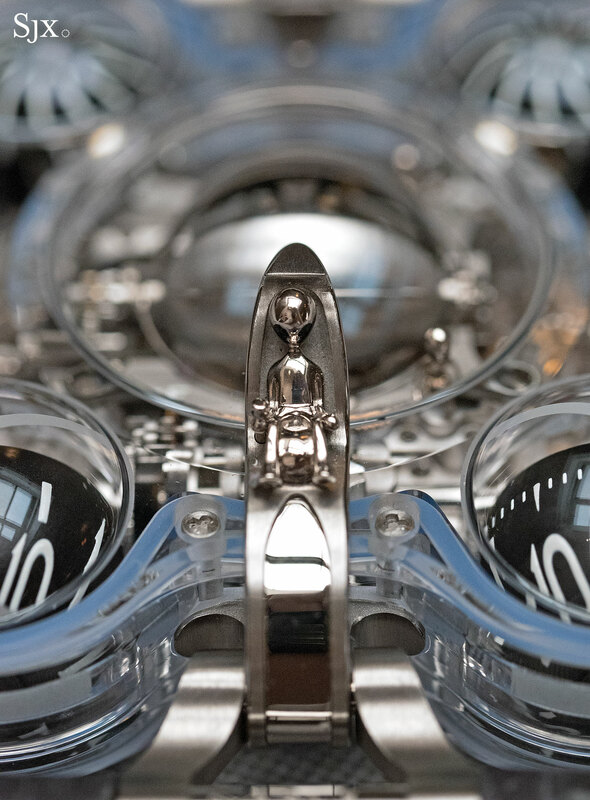 The alien world has its own one percent, ensconced comfortably in the captain’s chair on the front of the watch. Unsurprisingly he appears to be wearing slightly fancier clothing, with a shirt of sorts that those toiling below him lack. The alien captain is essentially a miniature sculpture, hand-finished and made of solid white gold. Each of the other alien figures are similarly crafted, though it would be hilarious if the captain was solid gold and everyone else was made of brass. Ah, everyone else, the intergalactic equivalent of galley slaves. There are five other alien inside the craft, all appearing to be toiling away except for one fellow who’s either on strike or dead from exhaustion. Or perhaps he’s the captain’s nephew. 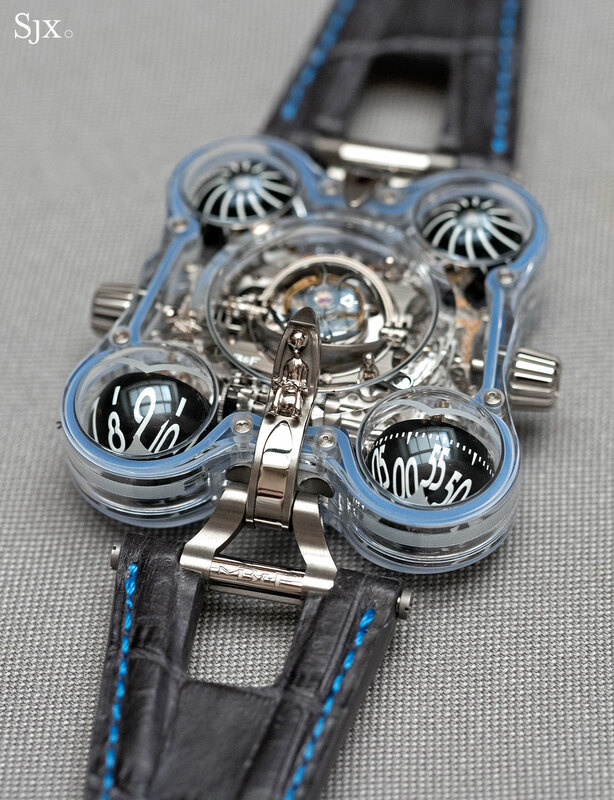 Cleverly positioned so as to appear to be driving the mechanics of the movement, the aliens are all mounted on the top plate of the movement, which is almost entirely exposed through the sapphire crystal case. 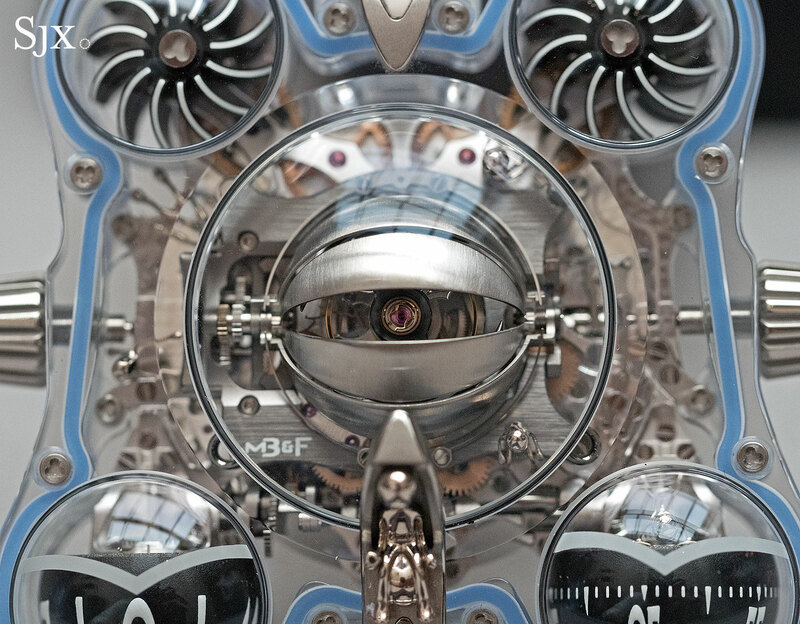 Allegorical portrayals aside, the HM6 Alien Nation is one of the most elaborately put-together MB&F watches ever. 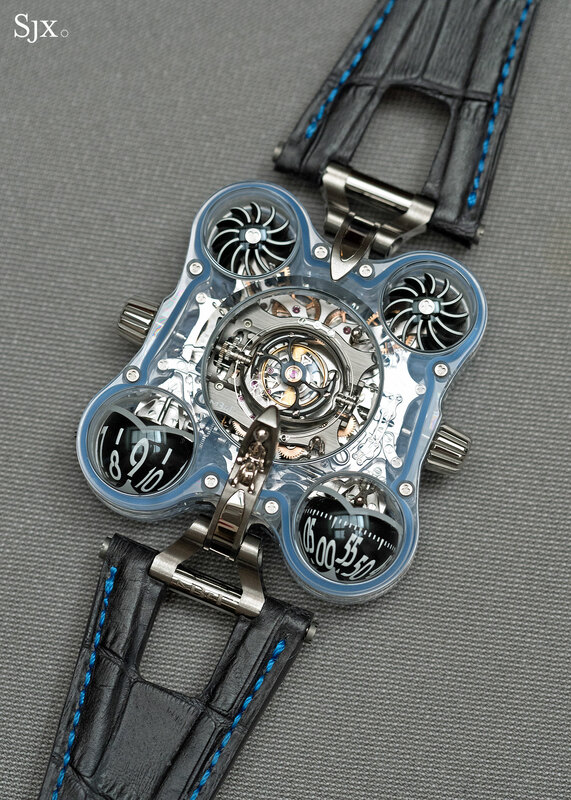 The case is sapphire crystal all round, with the front and back each being a large piece with the bubbles mounted on the top. 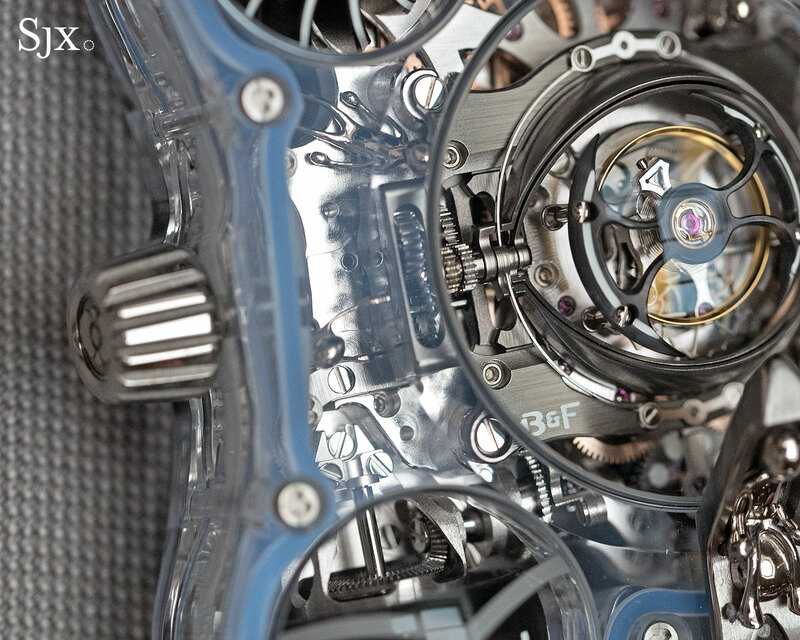 Each sapphire dome has underneath a key element of the watch: hours and minutes on the lower half, turbines linked to the automatic winding mechanism above, and the tourbillon in the centre. 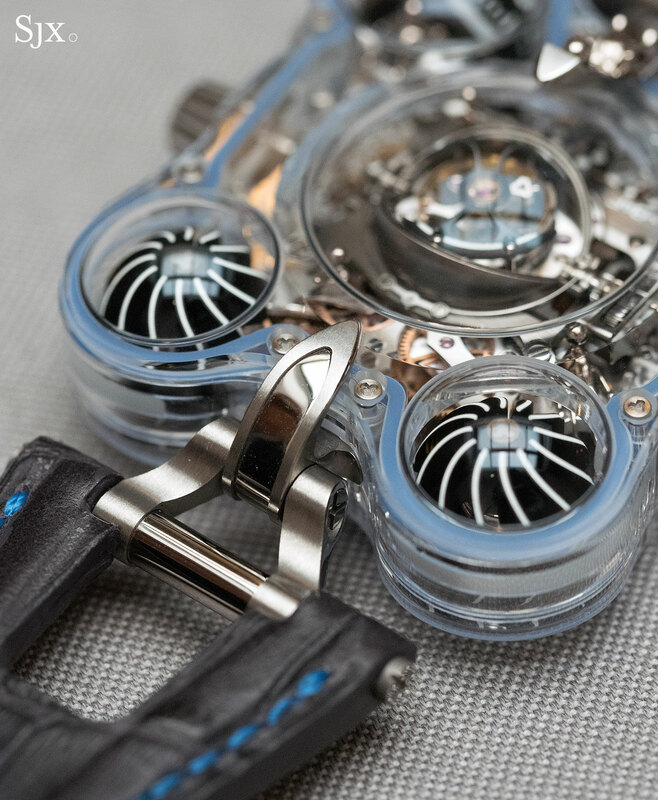 Mechanically it’s identical to the standard HM6, with the flying tourbillon in the centre that can be hidden with a retractable shutter. 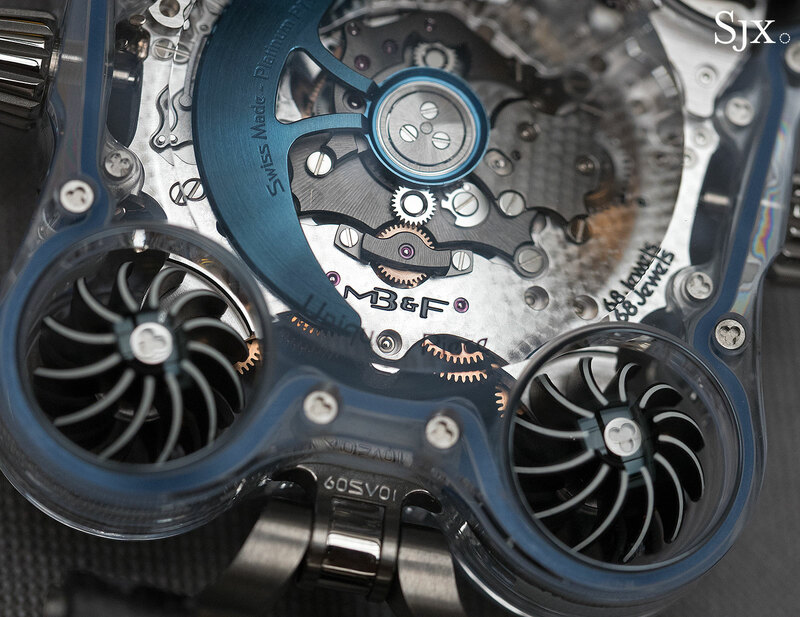 The gaskets for water-resistance are coloured – blue in the watch pictured but also in green, purple and turquoise – framing the case and movement. 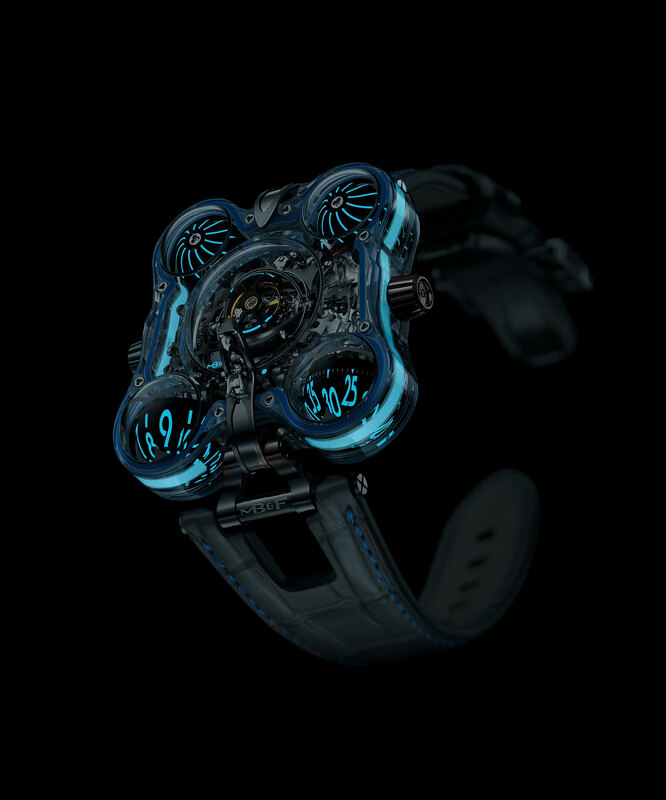 Additionally, a band of glow-in-the-dark-resin, better known by its trade name AGT Ultra Lume, circles the case on its flanks, giving the watch a cool nighttime glow. 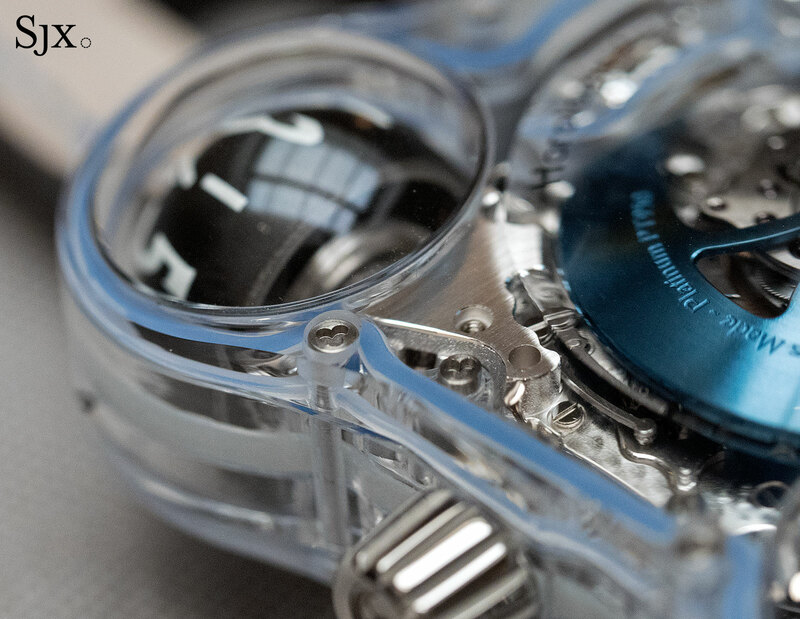 The luminous markings on the turbines, time display and tourbillon are conventional Super-Luminova paint. 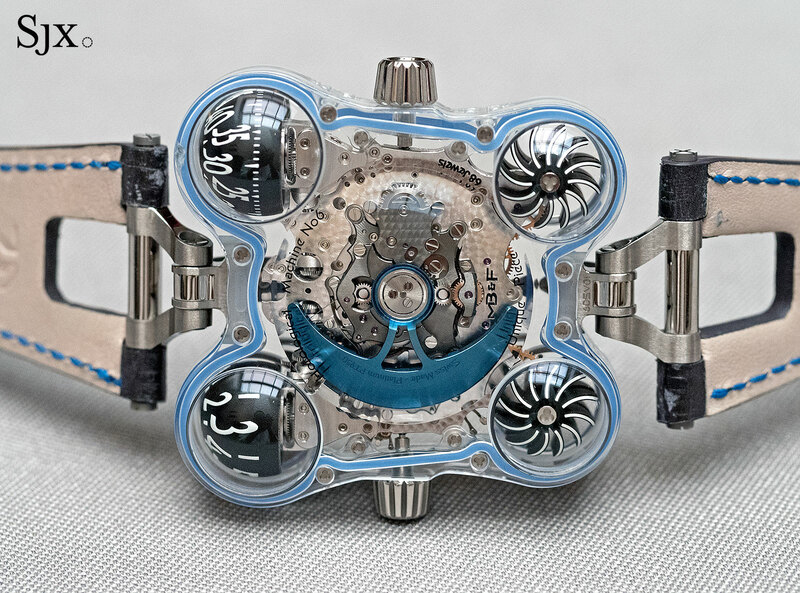 The HM6 Alien Nation cost US$500,000 each, and four were made. The entire quartet was purchased by a one collector. One percent indeed. Correction August 8, 2017: The luminous band around the case is AGT Ultra Lume, not solid Super-Luminova as stated earlier.